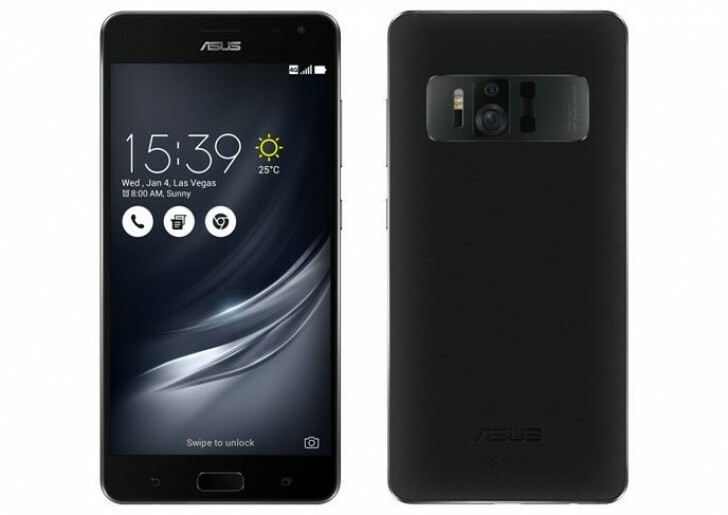 Today at CES Asus announced two new smartphones, both of which have been in the rumors quite a lot lately. We're talking about the Zenfone AR and Zenfone 3 Zoom. The Asus Zenfone AR is only the second ever handset to come with support for Tango, Google's augmented reality (AR) system. The Zenfone AR follows the Lenovo Phab2 Pro from last year in this nascent market. But the Asus model takes things one step further, since it also supports Daydream, Google's VR functionality built into Android Nougat. So if you get a Zenfone AR you can immerse yourself either in augmented reality or virtual reality, depending on your mood. Unfortunately though, you can't combine the two - for now you can only use Daydream apps when the phone is inside a Daydream VR headset, and Tango apps when it's in Tango mode. 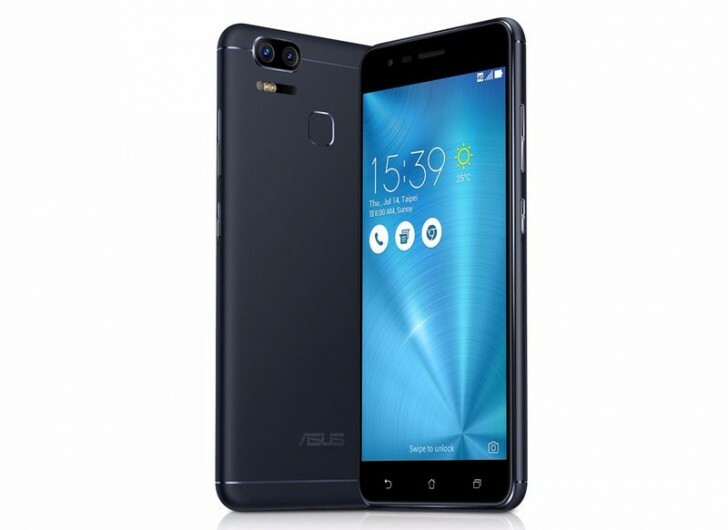 The Zenfone AR has a 5.7-inch QHD AMOLED touchscreen, and it's powered by Qualcomm's Snapdragon 821 chipset aided by a whopping 8GB of RAM - a world first. The main snapper is a 23 MP unit using Sony's IMX318 sensor, with OIS, EIS, and 4K video recording. Thanks to Google's Tango requirements, on the back there's also a motion tracking camera and a fisheye depth-sensing camera. The Zenfone 3 Zoom still has a main camera with optical zoom like its predecessors called Zenfone Zoom from last year. 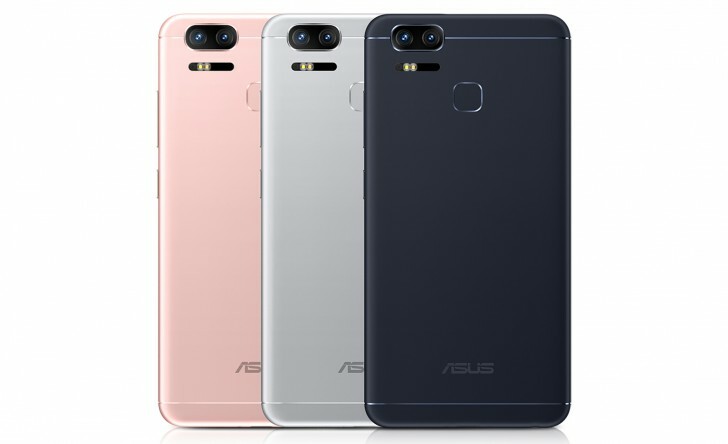 However, this time around Asus went with the dual-camera solution, thus the magnification is just 2.3x compared to 3x in the original Zenfone Zoom. Like in the Apple iPhone 7 Plus, the new device's lenses work together to create the bokeh effect that blurs the background of your pictures while keeping the subject in focus. The zoom itself is fixed on one 12 MP lens, while the other lens is a 12 MP wide-angle 1/2.5" unit with f/1.7 aperture and Sony's IMX362 sensor. They both have 1.4nm pixels. OIS and EIS are on board too, along with 4K video capture. Autofocus time is claimed to be 0.03 seconds, even with a moving subject, thanks to three different focusing modes: Dual Pixel phase detection, laser, and continuous. The phone is 7.83mm thin and weighs 170g. It has a 5.5-inch 1080p touchscreen with Gorilla Glass 5 on top, the Snapdragon 625 SoC at the helm, and a huge 5,000 mAh battery. It will become available in February disappointingly running Android 6.0 Marshmallow, and we assume Asus will share details on its other specs until then. The only fair comparison is a spreadsheet that compares feature to feature of each phone. When 2017 comes and High-End China phones have Snapdragon 835, 8GB RAM, 4K Amoled i just instant buy that.